You will be aware that Royal Mail has started a formal consultation on the future of the Defined Benefit Pension Scheme (RMPP) from March 2018. As part of that process, the business has now provided every individual scheme member an illustration of what the proposed changes will mean for their future pension provision. In response, the CWU has sent a leaflet to every individual member’s home address setting out the Union’s case and the policies we are pursuing to secure a new agreement with Royal Mail based on four key ‘Pillars of Security’. Since privatisation in 2012, the CWU has become increasingly concerned about the direction Royal Mail is taking and the degree of commitment to our mutual interest agreements. Instead of a long term focus on investment and growth we have witnessed a short term focus on cutting costs to boost shareholder return. The company’s recent ‘dash for cash’ has led to serious problems in the workplace around resourcing, growing intensification and pressure at work, as well as mounting concerns about the impact of automation, Royal Mail’s growth agenda and the long term future of members’ jobs, standard of living and retirement security. Since Royal Mail first signalled a problem with the RMPP scheme in September 2015, the CWU have been in talks with the company, its actuaries and the trustees to fully understand why the scheme has fallen into problems so soon after the last agreement in 2013 and to fundamentally question their financial rationale for closing the scheme for future accrual from 2018. The company say the latest three-yearly valuation of the RMPP is indicating that the costs of keeping the scheme open have almost doubled since 2013 as gilt yields have slumped and financial market conditions have worsened. Royal Mail now say that the additional contributions they would have to make to keep the scheme open in its current form beyond March 2018 are “unaffordable” and will require an employer contribution of 50% of pensionable pay, which would equate to an annual company contribution of £1.2 billion. As a result, Royal Mail argue that they cannot afford to run the DB scheme in its current form beyond March 2018. At this stage, members should note that: The CWU do not accept Royal Mail’s proposals. The company’s own figures reveal that DB members will suffer a serious worsening of their pension provision from April 2018. For those retiring at 60, the average ‘before and after’ loss will be 19% rising to 28% (for those retiring age 65). 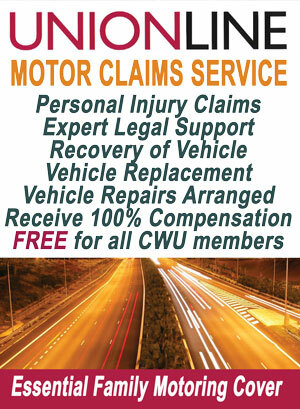 No proposals have been agreed with the CWU and no final decision has been taken. The 60 day consultation process has only just started and talks with the company will continue until we have reached a negotiated settlement. Any moves by the company to executive action will be met with a ballot for industrial action. Any proposals will not affect members’ pensionable service accrued in the RMPP up to March 2018. These are all fully protected and the 91,700 current scheme members can therefore expect all their current pension entitlements and benefits to continue up to that date. Royal Mail’s proposals only relate to the way members would build up benefits after March 2018. While we clearly need to address the situation for our DB members post 2018, as the Union for all RMG employees we must also deal with the mounting evidence about the inadequacy of Royal Mail’s current DC scheme (RMDCP). Latest figures show that the 42,000 current DC members are facing an increasing prospect of pensioner poverty with inadequate contribution rates, meaning members will simply not build up the pot of money needed to secure a decent income in retirement. Pension experts now say that, to secure a decent retirement income, employees need total employee/employer contributions of over 20% of pensionable pay but, in Royal Mail’s DC scheme, the vast majority (88%) are not even paying the current maximum contribution rate of just 15%. Royal Mail’s proposal to close the DB scheme also reflects wider problems around the long term future for DB schemes and the flawed thinking of many so-called pension experts who argue that, in the face of financial market uncertainty, companies should ‘de-risk’, close their DB schemes and move to a ‘risk-free’ DC alternative. However, there is now a growing realisation across the entire pensions industry that DC schemes simply do not cut it and we need to establish a new normal on pensions that ends what some commentators have called our “mad approach” to DB pensions. The CWU rejects the conventional wisdom that DB arrangements are unsustainable and that DC schemes are the only alternative. We need to end the constant crisis management we’ve seen with the DB scheme over recent years and the endless financial ‘cliff edges’ that continue to threaten its future. At the same time, we urgently need to address the mounting evidence from our own DC scheme and the wider economy that current contribution levels into existing DC schemes will force millions of workers into poverty in retirement. The reality is that both of Royal Mail’s pension schemes are failing. Rather than trying to keep propping up the DB scheme (that was closed to new entrants nearly a decade ago) and continue with clearly inadequate DC arrangements, the CWU will be seeking a lasting pension solution that ends two-tier provision and delivers a decent DB ‘Wage in Retirement Scheme’ for all our members in both DB and DC schemes. It’s also important to recognise that any pension solution cannot be secured in isolation from the wider issues the Union faces around the future of Royal Mail post-privatisation and the commercial, political and regulatory issues we face. A lasting solution on pensions must form one of the Union’s four ‘Pillars of Security’ that together will provide us with the confidence to continue our cooperation in addressing Royal Mail’s challenges and protecting our members’ long term future. The CWU’s call for a significant reduction in working hours from 39 to 35 hours a week (with no loss of pay and inclusive of paid meal breaks) is another key element of our strategy to improve members’ working lives and address the numerous challenges we face around resourcing, workload and automation. Cutting working hours not only helps protect full-time jobs, it also helps to improve members’ work-life balance (allowing individuals to better manage their job, family and domestic responsibilities) it recognises the physically demanding nature of the work postal workers perform by reducing overall working time and so helps address the reality of more people having to work longer because of increases in the state pension retirement age. A shorter working week (SWW) can also form part of a wider solution to the nature of the jobs our members will perform in the future, particularly in deliveries, in the face of issues around automation, manageable workloads, delivery spans and ‘doing the job properly’. All the research shows that a SWW is a genuine response to the 4th Industrial Revolution and can also provide solutions. At a time when workers are feeling greater pressure and intensification of work, a significant reduction in the working week can improve employees’ health and well-being and deliver increased productivity for the business and more productive and harmonious workplace relations. The groundbreaking ‘Agenda for Growth Agreement’ provided a series of important protections for members – around the future of the company, job security, resourcing and Union recognition – all backed by legal protections and collective agreements built on “consensual change” and a “mutual interest” culture. It guarantees no break-up of the company, with no outsourcing or franchising; it ensures Royal Mail will remain an end-to-end service provider; it enshrines the CWU’s recognition and collective bargaining rights and use of the IR Framework and ensures no existing terms and conditions will be changed or worsened without Union agreement. It also provides important guarantees around job security, no compulsory redundancies, no use of zero hour contracts, limits on the use of agency staff and a commitment to a predominantly full time workforce employed on permanent contracts. Although the Agreement is not up for review until 2019 we cannot afford to wait – we need an extension now. 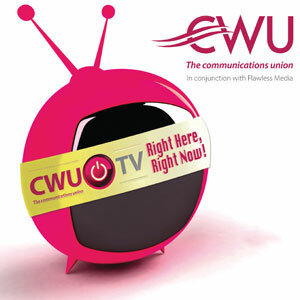 Over recent years, as letter volumes have continued to fall and competition has intensified in the increasingly lucrative parcels market, the CWU believe Royal Mail has been too focused on managing decline and has not delivered the investment and innovation needed to promote real long term growth in the business. Operational redesign also recognises the fundamental changes in the post and delivery market, the increasing use of technology and the shift in emphasis from poster to receiver. A new pipeline will not only open up greater commercial opportunities alongside our core delivery service but offer the potential for a range of other services and enable the company to tap into other markets (such as fleet haulage and fleet maintenance services) and diversify for growth. The CWU’s four Pillars of Security set out the key policies needed to protect members’ future jobs, standards of living and retirement security against a backdrop of heightening competitive pressures and a hostile regulatory and political environment. The aim is to provide a sustainable bedrock of future security for our members and a lasting settlement with Royal Mail that delivers our members a decent wage in retirement, cuts working time, extends our current agreements and lays a proper foundation for long term growth in the business. We recognise that our proposals will be difficult to achieve. As in any negotiations, Royal Mail will want to push their own agenda but meaningful talks can only proceed (and a comprehensive new deal can only be struck with the CWU) if the business is seriously prepared to negotiate around our four key priorities.